Distinguished for their attractive architectural appearance due to their appealing outside surfaces, their accurate symmetrical dimensions, straight edges and the orderly distribution of colors. Known for their durability to high pressures, it is the advantage that renders this product to be the most suitable material as load bearing walls. A solution for a lower construction cost. They are moderately priced, require no additional plastering or painting processes, and eliminates the use of concrete skeleton if used as load bearing wall. Efﬁcient insulation of heat and sound. Of longer life as they maintain their appearance and durability due to their high resistance against weather conditions and erosion. 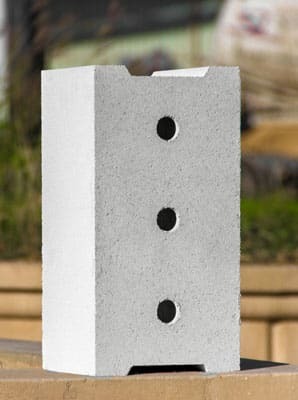 The Sand lime bricks & blocks product is distinguished for its efficient Thermo-insulation when compared with other building materials used in wall buildings. As shown in table, the average values of heat co-efﬁcient transmittance. Exposure to prolonged periods of moisture and dryness has no effect on lime based bricks & blocks. Sand lime bricks & blocks product contains a very low amount of salt, thus the formation of blooming or white deposits does not occur when exposed to water. As such, it is also not affected by salty atmospheres like coastal breeze. Yet, it is recommended to have the surface painted with a layer of insulating transparent application, such as sodium silicate or silicon, in case of direct exposure to salt water sources or sewage water. Experiments have shown that a highly carbon dioxide polluted atmosphere has no any effect on sand lime bricks & blocks, it would though increase their strength instead in the course of time. Experiments have shown that the absorption of water by the lime bricks & blocks is very low, and has no effect on its weight in case of being immersed in cold water for up to 24 hours. In fact, water absorption has no effect on the bearing strength whether before or after execution. The bricks & blocks dry out gradually through the same pores where the water was absorbed. Experiments have also shown that sound absorption co-efficient of the sandlime bricks & blocks is effective. Which makes the product as one of the best material for sound insulation compared with other building materials. This is due to their exposure to high pressure during the manufacturing process. Sand lime bricks and blocks are also a very safe option. 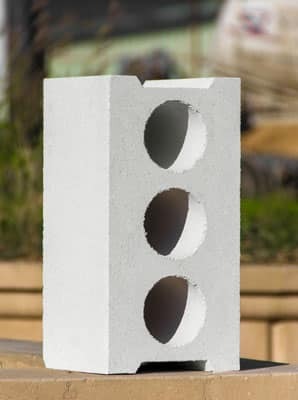 Research has shown that walls made of sand lime bricks or blocks are distinguished for their high efficiency in fire resistance, as it neither softens nor melts as temperatures rise up to 1000°C. In fact, the 20cm thick walls have preserved their characteristics and remained sound even after few hours of exposure to fire. Latest studies have proven that while plastering, the adhesion -upon moistening wall with water -was found to be excellent. It has been also found that standard paint, insulation materials, and profile textures may be easily and directly applied on brick & block wall. 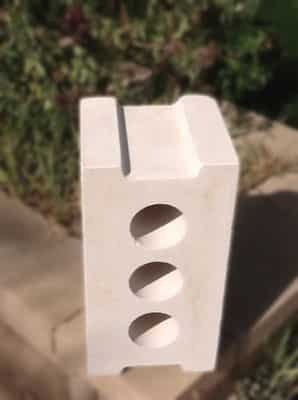 Sand lime bricks & blocks maybe easily cut, drilled or sawn using the particular electric equipment during building process, or while electrical cabling or plumbing works as well.